I debated whether to share this recipe because it really isn't a new recipe at all - it's more of an adaptation of a recipe I've shared before. I decided to put them up, though, because they're just so cute that they demanded some attention of their own. 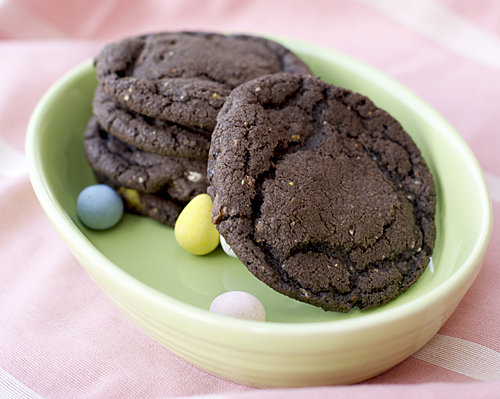 I searched around for a little while for the perfect buttery, rich, slightly chewy and a little bit craggly looking cookie recipe to use for some Easter nest cookies. After checking all over the internet, cookbooks and trying a couple different recipes, I realized that this World's Greatest Cookies recipe fit the bill perfectly. 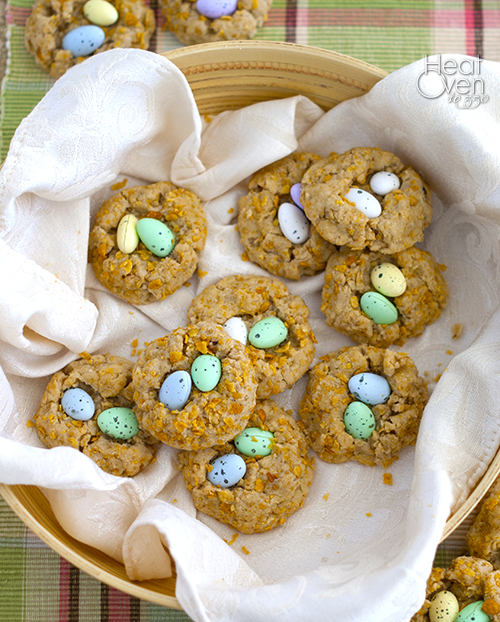 They are delicious, have great texture, and the corn flakes (see the post to see why this isn't a crazy thing to put in a cookie) give it a rustic, nest-like look. All that cooking and I had the recipe I was looking for under my nose the whole time. I just subbed out the pecan on top for some Jordan almonds and rolled the balls of dough in more crushed cornflakes and these nest cookies were born. 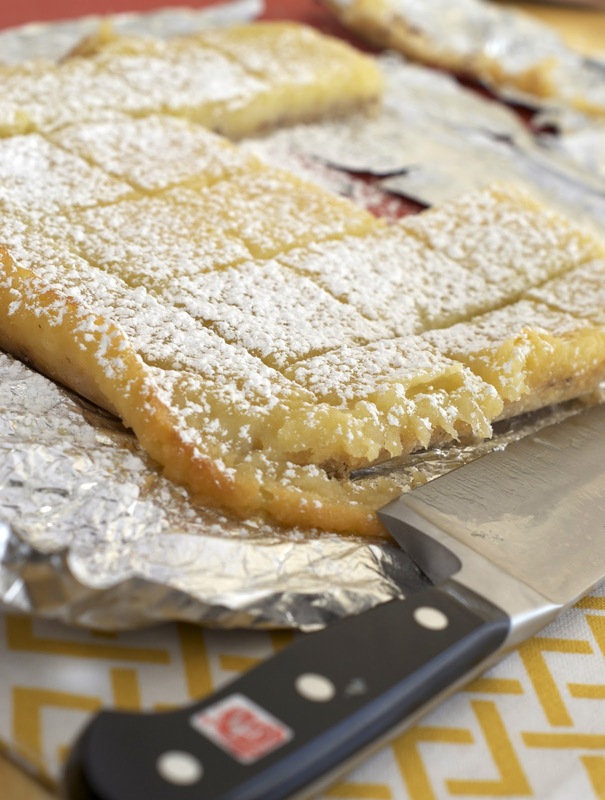 If you haven't tried the recipe these cookies are based on yet, I encourage you to give them a try. They have an unusual combination of ingredients (corn flakes, almonds, coconut, etc.) but it just works. I think I may even prefer them with the Jordan almonds on top instead of the pecans. They are delicious either way, though. 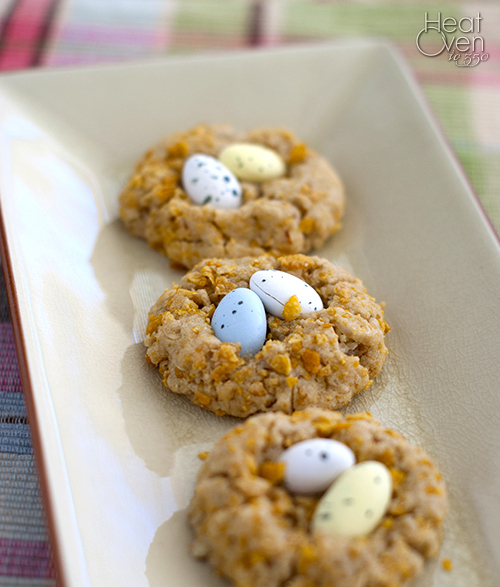 Check them out if you are looking for a fun, different cookie recipe that you can easily adapt for Easter/Spring. Note: If you are want to make the Jordan almonds speckled like I have pictured here, lay your Jordan almonds in a single layer on a dish or plastic cutting board. Dilute black food coloring about 1:1 with water, dip a silicone brush into the food coloring and rake your fingers over the bristles to flick little black spots onto the eggs. Let dry completely before using. OMG...so many good recipes! Even though we are going out for Easter dinner, I'm thinking I need to make dessert! Oh, these look SO delicious. I definitely need to make these! 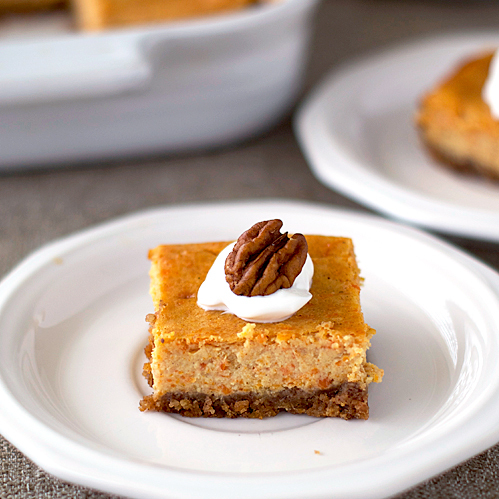 Your carrot cake cheesecake bars look right up my alley, too! These are adorable!!! Wow, so clever of you to make specked jordan almonds! I thought they were some sort of those egg shaped candies they sell at easter. 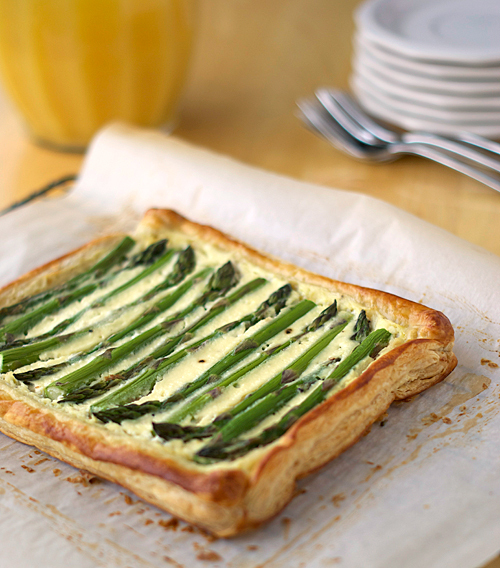 That asparagus tart looks amazeballs - nice job!